Rent GameTime - Miami | Corporate Events | Wedding Locations, Event Spaces and Party Venues. 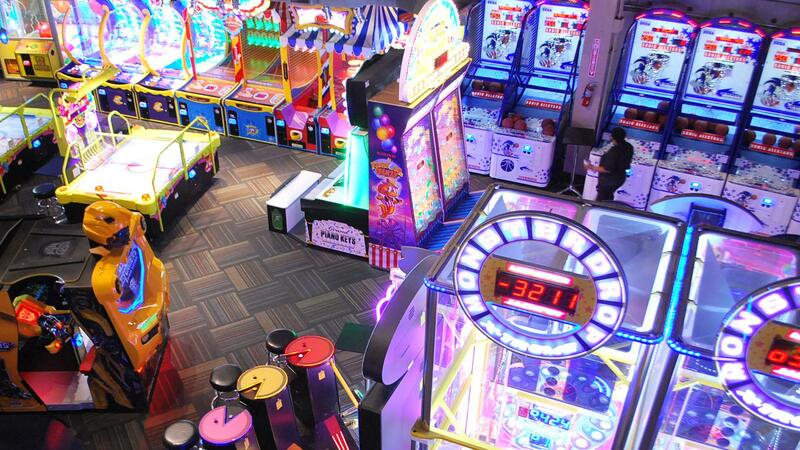 We offer a full service experience in our beautifully renovated venue featuring our Mega-Arcade with over 120 video games, simulators & prize machines. We have private rooms available and a sky lounge that all offer the perfect space and backdrop for your next event. GameTime Miami can accommodate groups ranging in size from 10-1,200 people. If you are looking for something extra special, consider booking our full facility as your private playground. GameTime is the perfect backdrop for any group function including Corporate Team Building events, wedding rehearsal dinners/entertainment, after prom parties, birthday parties, sports team celebrations, Bar Mitzvahs, charity events, Comedy shows, we are a great Film Production location destination, and so much more. GameTime combines the best in gaming, food/beverage/cocktails, and entertainment. If you are looking for a fun, full service venue to host your event, our professional Event Coordinators will assist you in making it the best ever! Each facility can accommodate groups ranging in size from 10-1,200. If you are looking for something extra special, consider booking our facility as your private playground.